Anyone who has been in ministry can attest that whenever the subject of the Holy Spirit and speaking in other tongues or languages comes up in conversation or messages it can cause some people to become pretty awkward. Even when it isn't brought up, the question still seems to linger in the air. It's the proverbial elephant in the room. Part of this is because many people have misrepresented the idea of praying in tongues. Hollywood consistently portrays this act of faith in a negative light, making it seem unnatural or cultlike, and as a result, people's assumptions and expectations about it have been skewed. I'd even go as far as to say it has become popular nowadays to feel uncomfortable about it. Rather than seeking a biblically rooted understanding of this powerful means of communicating with the Holy Spirit, people shy away, afraid of the unknown or, perhaps more, afraid of how others will perceive them. Instead of asking, "How could speaking in tongues enhance my walk with Christ?" they whisper, "Do I have to?" "Do I have to hug my grandchildren, or do I get to hug my grandchildren? Do I have to get out bed in the morning, or do I get to get out of bed in the morning? Do I have to kiss my wife, or do I get to kiss my wife?" The answer to all these questions is yes—yes, I have to, but with jubilant joy and because of overwhelming love, I get to! Instead of viewing these necessary actions as mandates to be checked off the to-do list, I choose a different perspective. It is not a question of, Do I have to? Instead, I think, Wow! I get to hug my grandchildren, and I would love to get to do it more. I get to rise out bed in the morning, and at my age, I am thankful for that. I get to kiss my beautiful wife, and praise God, she still acts like she loves it. Likewise, and even more importantly, I don't have to pray in tongues daily, but I get to pray every day in a prayer language designed to build up my most holy faith. Language is at the center of all our interaction. More than just the communication of ideas, it establishes authority and agreement, and it influences ability. Because language is also tied to culture, it is a marker of the family to which you belong. This is no less true of our prayer language. The kingdom of God is not a crowd but a family, and our prayer language is a part of our spiritual culture and heritage as believers. Our heavenly Father promises us we will "receive power when the Holy Spirit comes on you" (Acts 1:8). It is a powerful gift for us, our children, our grandchildren, and to "all whom the Lord our God will call" (Acts 2:39)—all the sons and daughters of God. 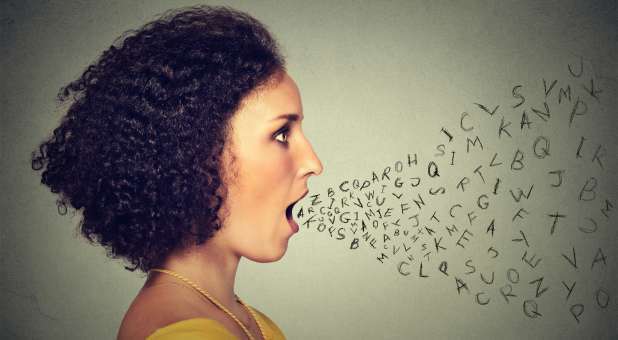 I think where people get off track is that sometimes we get so hung up on the term speaking in tongues that we forget that this gift is a language, a way for our spirit and the Spirit of God both to speak directly and hear one another clearly, unhindered by the constraints of human speech. It is not about the action we take as speakers but rather about the exchange taking place between our spirit and the God who created us and calls us His own. When we speak in tongues, we aren't holding a better, louder megaphone pointed at heaven, but instead we become better listeners and are more tuned in to His voice. If you find yourself in a season in which you need to hear from the Lord, speaking in tongues will unlock the breakthrough you are seeking. If you are facing challenges that seem insurmountable, pray to your heavenly Father in your prayer language and know that He hears and wants you to hear His voice in return. If you want to receive the fullness of His Holy Spirit, ask Him right now to know His mind, His will and His power and be ready to receive all He has for you—including the gift of tongues. If you have not yet spoken in tongues, take a step of faith as His Spirit is giving you His language. Allow the rivers of living water to come out of deepest part of your being. You are His child, and He wants to teach you His language. Allow Him to fill you to overflowing for your edification and for the edification of those to whom you are called to minister. Let me know today you were filled with the Holy Spirit at [email protected]. You are beautiful. I see Jesus in you.